Explore Magnolia Swamp in Ravenswood Park. The lecturer gave a strange account of the state of affairs at Concord. In the shops and offices were large numbers of human beings suffering tortures to which those of the Brahmins are mere pastimes. We cannot say whether this was in jest or in earnest. 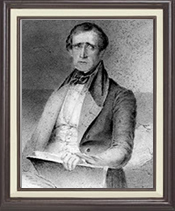 If a joke, it was a most excruciating one—if true the attention of the Home Missionary Society should be directed to that quarter forthwith. 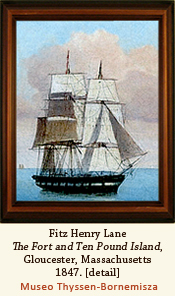 Celebrated marine artist Fitz Henry Lane may have had a hand in arranging for Thoreau to speak in Gloucester. 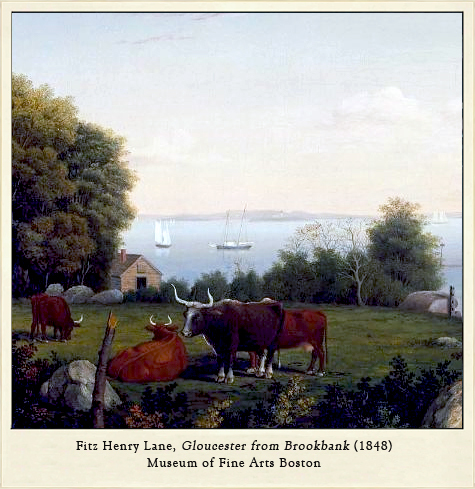 In addition to his productivity as a painter, Lane was active in the civic and social life of the city, serving, for example, on the Gloucester Lyceum Committee during the 1840's. 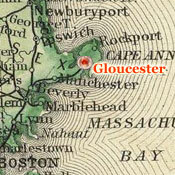 Although it's not known if Lane had a direct role in inviting Thoreau in 1848, it is likely that he heard Thoreau's talk since it took place during Lane's active involvement in helping to make the Gloucester Lyceum a regular stop for popular lecturers from throughout New England. 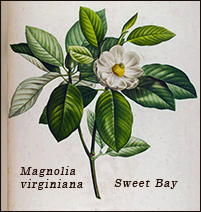 In 1858, when Thoreau returned to the area on a botanical field trip, he visited Magnolia Swamp, a site that drew crowds of visitors to Gloucester not only to enjoy the scent and beauty of the flowers, but also to witness the curious appearance of what had generally been regarded as a warm-weather plant growing so far north of its usual environs. 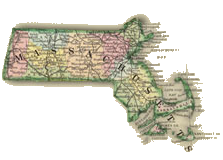 Explore maritime art, history, and culture at the Cape Ann Museum. 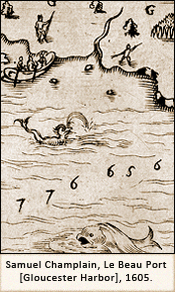 Learn more about Thoreau and Champlain. 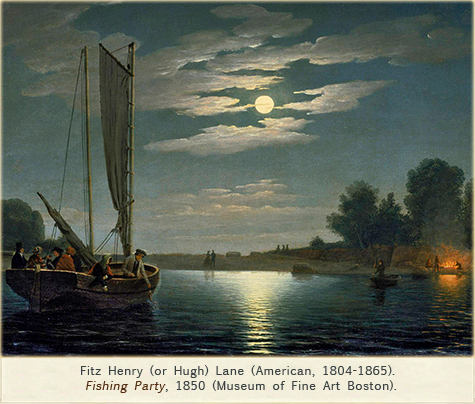 Explore the work of Luminist painter Fitz Henry Lane.